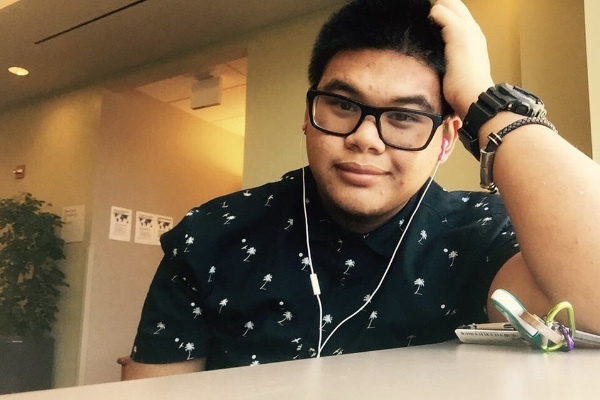 Fundraiser for Jefferson Gomez by Jazzie De La Cruz : Celebrate Joshua's life! I've always read about these and never in my life did I imagine I would have to set up an account for someone so close to our hearts. Our brother Joshua, the youngest of 5 was suddenly struck by a young driver as he was walking home on November 23rd 2015 at 3:27pm on Skyline highway at a very popular intersection. Sometimes in life, people you love most leave and you'll never fully understand why. Although my entire family is keeping very close and doing everything we can to provide for Joshua and my parents. Joshua was only 17 years old, he had his whole life ahead of him. Being the sweet gentle bear he was to all of us, we're all deeply mourning and trying to celebrate every year we were blessed to have him in our lives. We'd like to set up this account for those who want to offer anything for our brother Joshua during this time of need. Nothing is ever too small, a simple message of love is enough. Thank you all for the unconditional love and support that's been showered upon our family and especially to Joshua. A very special thank you to everyone’s generosity for helping this celebration come to life. Every donation was very helpful to us and we are forever grateful for all the thoughts and prayers that you all blessed us with. Let us continue to bring forth the love for Joshua and celebrate his life, every day in our hearts. Condolences to your family!! Joshua is in God's arms now and will be an angel!! Your family is in my thoughts and prayers everyday.